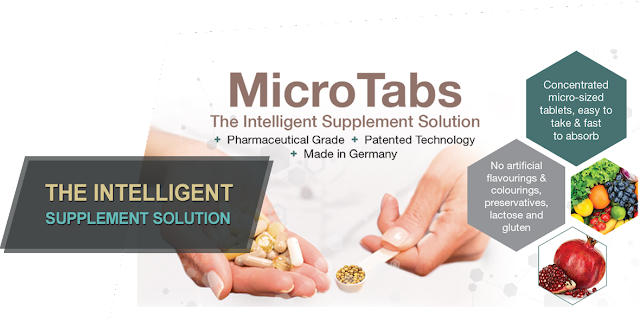 Wanna try out intelligent Microtabs today? BioG™ MicroTabs are micro-sized tablets produced with special patented technology. Made in Germany by Roehr™ Pharmaceuticals, pharmaceutical-grade bioactive ingredients are compressed uniformly into 2mm by 2mm micro-tablet size, making them easy to consume and fast to absorb. Perfect for the elderly and children, and those who are averse to swallowing pills.